Moving Mountains is a summer program, one that takes place high in the Italian Alps. 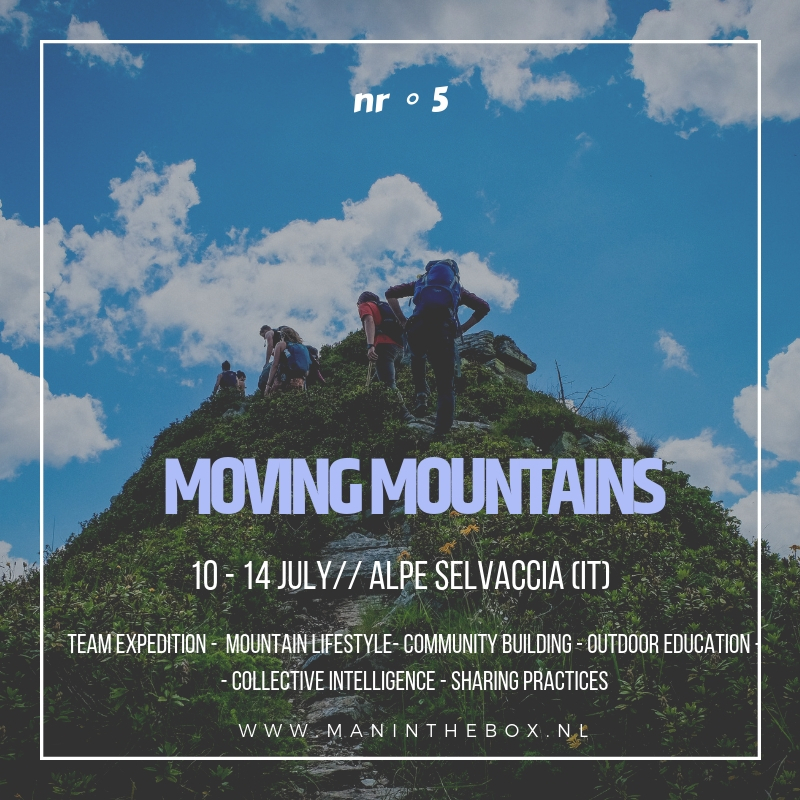 For four days, we will reside at Alpe Selvaccia, a hidden gem in Parco Regionale Monte Rosa, overlooking the peaks of the Monte Rosa Massif. During this we dive into ‘Mountain-Life’ together, which of itself, provides tangible challenges, that invites new ways of thinking, feeling and doing. We will focus specifically on communication, team-work and collaboration, so learning to make better use of collective intelligence and use group dynamics to our advantage. We will operate as a small community, and strongly encourage the group to take ownership of this expedition. We invite you on this adventure, to connect with other people in development, discover the power of collective action and group empowerment, to take your personal projects and ambitions to the next level. Wanna truly put your dreams to work? Get Connected! Together we can Move Mountains.